Inspired by their travels, a single lavender plant and a love of farming and gardening , the owners Martin Gorski and Suzanne Dajczak soon recognized that lavender would make an excellent complement to their vineyard and winery, North 42 Degrees Estate Winery. 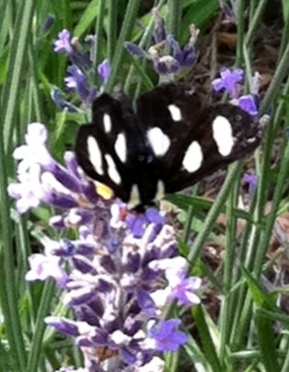 At Serenity Lavender farm we promise a scentsational experience! Over the years, Serenity Lavender Farm has teamed up with many local businesses developing unique products including lavender beer, lavender fruit jams and lavender honey. A strong commitment to lavender research has led to a partnership with the University of Guelph in furthering the understanding of lavender oil production in Ontario. Serenity Lavender Farm’s gift shop is open year round and lavender tours are available from May-October. Come and learn the language of lavender! Lavender is one of the most nostalgic and romantic fragrances. Originally from the Mediterranean, these plants are now grown all over the world. The leaves are long and narrow and vary in color from blue/green to grassy/green. At Serenity Lavender Farm the lavender flowers dramatically rise above the plants on spikes, in shades of blue, violet, lilac, pink and white. Lavender is much more than just a pretty plant. It is one of the most powerful herbal remedies. It offers both physical and emotional relief for problems as varied as burns, migraines, insomnia, insect bites, stress and anxiety, aching muscles, cuts and acne. Some people even report better pain control, digestion, circulation and respiration. Lavender is also very popular in cooking and can be found as an ingredient in many top restaurants around the world. Lavender lends a floral, slightly sweet and citric flavor to most dishes. For most cooking applications the dried buds or fresh flowers are used, and the leaves can be used as a substitute for rosemary. 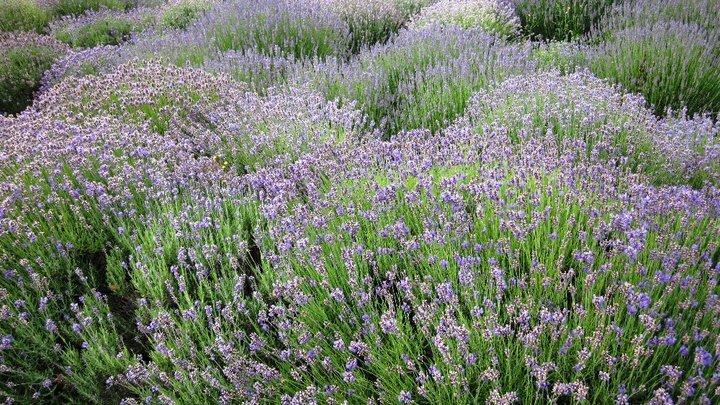 Come and explore this sensual herb and it’s mysteries at Serenity Lavender Farm!